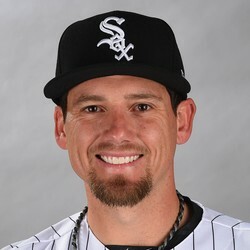 It was just two years ago in 2013 that Danny Farquhar was a solid closer for fantasy teams, amassing 16 saves and demonstrating his best strikeout rate in the majors. Since then it's been a bit of a bumpier road. His strikeout, flyball, ground ball, HR/FB, and contact rates have all trended downward. He's also losing velocity and dropping in swinging-strike rate which is a precursor to injury. Hopefully the Rays can turn things around for the talented 28 year old like they have other pitchers in the past, ala Fernando Rodney.